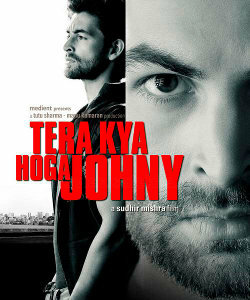 Tera Kya Hoga Johny is a 2008 Bollywood film directed by critically acclaimed director Sudhir Mishra, starring child actor Sikander in the lead role. Actors Neil Nitin Mukesh, Kay Kay Menon, Soha Ali Khan and Karan Nath are also part of the film. It also stars two filmmakers, Anurag Kashyap and Aditya Bhattacharya. The film is about the city of Mumbai, and a child who sells tea on its streets. In the words of the director, "It's set at a time when Mumbai wants to be Shanghai." He has also stated that he wants to make a sequel to the film. In January 2010, the film was leaked on YouTube while still undergoing post-production work. Mishra filed an FIR and the police are investigating the source of the leak. 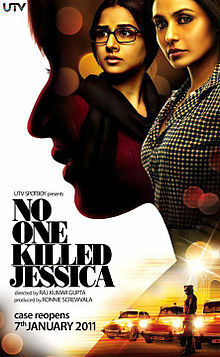 No One Killed Jessica is an upcoming Hindi film starring Rani Mukerji and Vidya Balan, produced by UTV Spotboy and directed by Rajkumar Gupta, who had earlier directed the acclaimed film Aamir (2008). One of the things besides Indian grocery stores and Indian restaurants that many immigrants from Indian and Pakistan look for are Indian clothes. Whether its for a religious function or for a wedding, there is always a need for some cool Desi fashion. 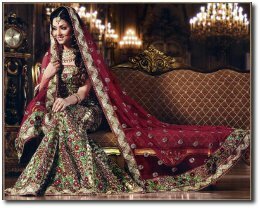 Fortunately for us, with the explosion of Desi around the world, its not that hard to find traditional Desi clothing along with more contemporary fashion. Tees Maar Khan is an upcoming action comedy film directed by Farah Khan, starring Akshay Kumar and Katrina Kaif in the lead roles and Akshaye Khanna in a cameo. Salman Khan and Anil Kapoor make special appearances in the film. The film is set to release on 24 December 2010. The theatrical trailer and title song of the film were released on UTV Motion Pictures YouTube channel on 4 November 2010 for promotional purposes. You can watch the trailor of the movie below.